Often characterized by their dark black and white plumage, penguins are known to reside mostly in Antarctica where the love of the water seems to offer continued joy for this aerodynamic bird. 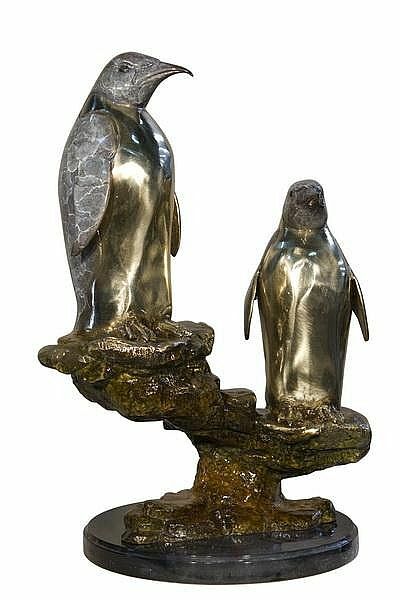 Here, our penguin statue comes beautifully detailed for a statement indoors or outdoors depending on your decorating plans. This sculpture is made of bronze. Dimensions: 24"H x 15" x 12"
Normally ships in 1-2 weeks when stocked.